The St. Louis Press Club will be toasting media professionals from St. Louis at their Media Person of the Year Gala to be held at the Edward Jones Atrium and Theater beginning at 5:30 p.m. on November 30th, with a reception, dinner and program. The event funds the club’s many journalism scholarships and investigative journalism grants. The honorees are recognized for their distinguished careers representing the highest standards of accomplishment in journalism. The National Media Person of the Year awardees are two giants in the computer and social media industries: Square co-founders Jim McKelvey and Jack Dorsey. Dorsey is also co-founder of Twitter. Local Media Persons of the Year are: Dan Martin, cartoonist for the St. Louis Post Dispatch; Tom O'Neal, recently retired KTVI-TV news reporter and anchor; Jay Randolph, retired KSDK-TV sportscaster and Cardinals announcer; and Sharon Stevens, retired KSDK-TV education reporter. 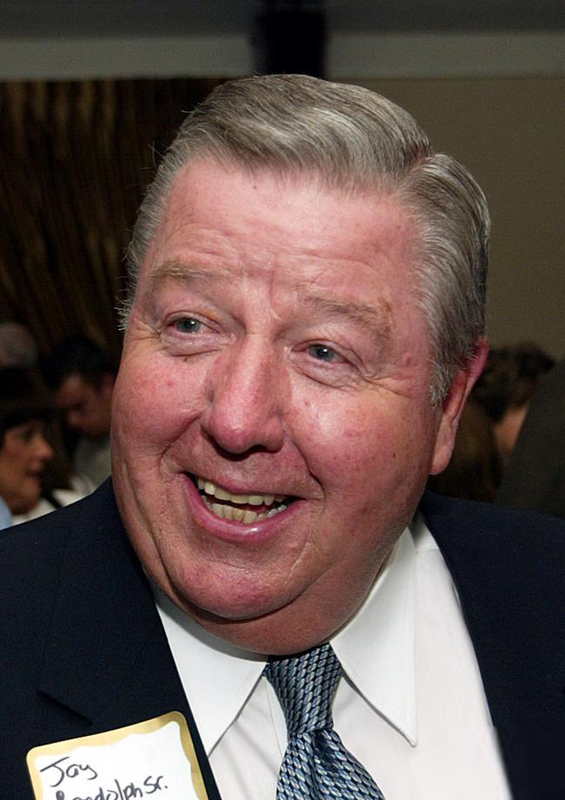 Bill McClellan, columnist for the St. Louis Post-Dispatch and a former Media Person of the Year, will be honored with a Lifetime Achievement Award. KMOX will be awarded the Media Institution of the Year. Carol Daniels of KMOX will be the evening's MC. In 1988, the St. Louis Press Club established the “Media Person of the Year” Award to recognize distinguished men and women from the St. Louis media whose work represents the highest standards of professional conduct and accomplishment. This scholarship dinner and roast has evolved into a major fundraiser, as well as one of the area's premier social events. All proceeds from Media Person of the Year gala benefit journalism/communications scholarships and internships, the media archives at the St. Louis Public Library, Press Club programs of current issues of the day, and enterprise journalism fellowships. The St. Louis community's continuing support has enabled the Press Club to significantly expand its funding for scholarships, internships and fellowship -- especially for many deserving and underserved communication students, who are the trailblazers of tomorrow. For more than 36 years, Martin, a native St. Louisan, has been an award-winning illustrator, cartoonist and designer for the St. Louis Post-Dispatch. Since 1986, he has drawn the newspaper’s front-page, 115-year-old Weatherbird, the oldest continually drawn daily cartoon in American journalism. He created his weekly political comic strip “Postcard from Mound City” in 1996, and his sketchbook assignments have taken him everywhere, from murder trials to Portuguese beaches. He has been commissioned by freelance clients from across the country, and his work is in several private collections and cartoon archives, including the Baseball Hall of Fame. He also has illustrated four books by Post-Dispatch columnist and co-honoree Bill McClellan. Martin has been honored by the Society of News Design, in addition to serving on the boards of the St. Louis Mercantile Library Association and the St. Louis Media History Foundation. He holds a B.F.A. in Design from the University of Kansas School of Fine Arts, and is a member of the National Cartoonists Society. Dan lives in Crestwood with his wife, Kris, and son, Ben. 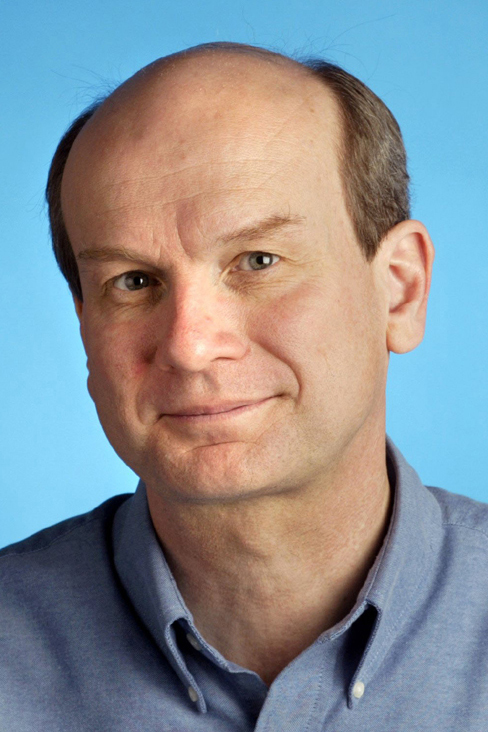 Since 1983, McClellan has been entertaining St. Louisans with his columns in the St. Louis Post Dispatch; and by 1985, was recognized for his human-interest storytelling skills with the prestigious national Ernie Pyle Award. He was also named the Press Club’s Media Person of the Year in 1997. McClellan grew up in a working-class family in Chicago and says he set out to go to University of Illinois, but was drafted into the Marine Corps and sent to Vietnam as a combat correspondent. Once home, he went to Arizona State University, where he began his journalism studies and landed a feature-writing job at the Phoenix Gazette. In 1980, he joined the St. Louis Post-Dispatch as a reporter. Soon, his wry touch in describing the follies of mankind caught his editor’s eye and within three years he got his column, which he’s been writing ever since. Several compilations of his essays are available as books. A regular and co-founder of Channel 9’s “Donnybrook” round table forum, McClellan adds his unique and often humorous perspective on local issues. He lives with his wife Mary, a dentist, in Clayton and they have two adult children, Jack and Lorna, son-in-law Darryl Sanchez and two grandchildren, Evelyn and Justino. 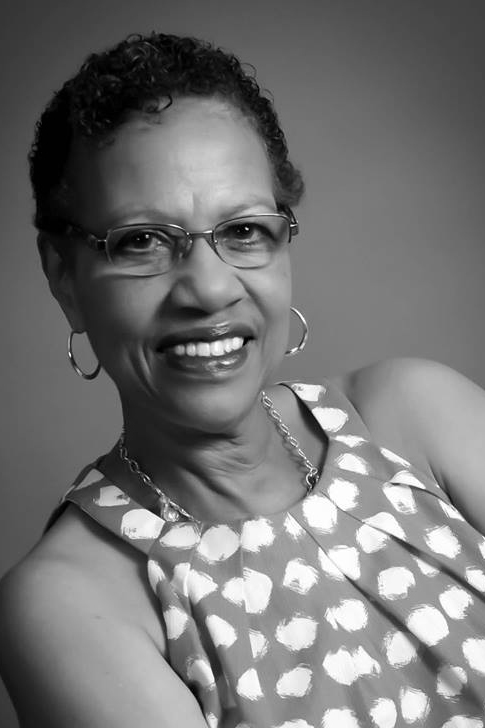 O’Neal has 43 years of experience as a broadcast journalist, almost all of which was spent on the St. Louis airwaves. While in college at University of Missouri-Kansas City, O’Neal worked behind the scenes at KCMO-TV (now KCTV). After graduating with a B.A. in speech, he was hired by KFVS-TV in Cape Girardeau, MO., doing news, sports and weather. In May of 1974, O’Neal moved to St. Louis and was hired by KSD-TV (now KSDK), and worked as a news reporter and anchor at Channel 5 for 15 years. In January 1990, he went on the air for KTVI-TV, the ABC affiliate which eventually became Fox 2. 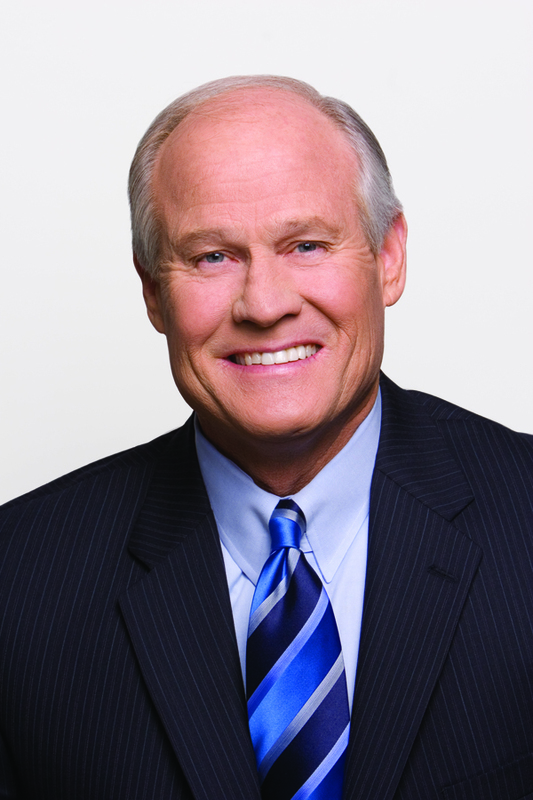 He spent 25-plus years at Channel 2, the last 10 as co-anchor of Fox 2 News at 5 and Fox 2 News at 9, retiring in 2015. During his 41 years on the air in St. Louis, he won several local Emmys, state and national awards for reports on health and education. He has also been involved with numerous charities, and had a personal connection to the Leukemia & Lymphoma Society, having lost his 17-year old son, Brandon, to the disease. He served a term as president of the board for that group, as well as for Basket of Hope and is a member of the Silver Circle. Randolph has been broadcasting sports for more than half a century and is still going strong. He is in the Texas Radio Hall of Fame, the Missouri Broadcasters Hall of Fame and the St. Louis Sports Hall of Fame, and has received numerous other honors for his long and distinguished broadcasting career. Randolph went to George Washington University on a golf scholarship, served two years in the U.S. Army, and ultimately graduated from Salem University. His radio broadcasting career began in 1958 in Clarksburg, West Virginia, where he did play-by-play for the West Virginia Mountaineers; then, in the ‘60’s, for the Dallas Cowboys and the Southern Methodist University Mustangs. In 1966, Randolph became the voice of St. Louis Cardinals Football at KMOX Radio, and was sports director for KSD-TV (later named KSDK) from 1967-1988. He anchored sports coverage and called the TV play-by-play of the St. Louis Baseball Cardinals, and was also the original television voice of the St. Louis Blues. For 21 seasons, Randolph served as the over-the-air TV voice of the Baseball Cardinals (1970-87, 2007-2010), and was lead announcer for the Big Eight Baseball Game of the Week for 19 years. In the ‘70’s and ‘80’s, Randolph also covered a wide variety of sports for NBC, including the Olympic Games, Breeders’ Cup, NFL and PGA. He called play-by-play for the Cincinnati Reds in 1988 and for the Florida Marlins in 1997-2000. You can still enjoy Randolph twice weekly on KFNS (590AM), co-hosting the Fairways and Greens golf show. 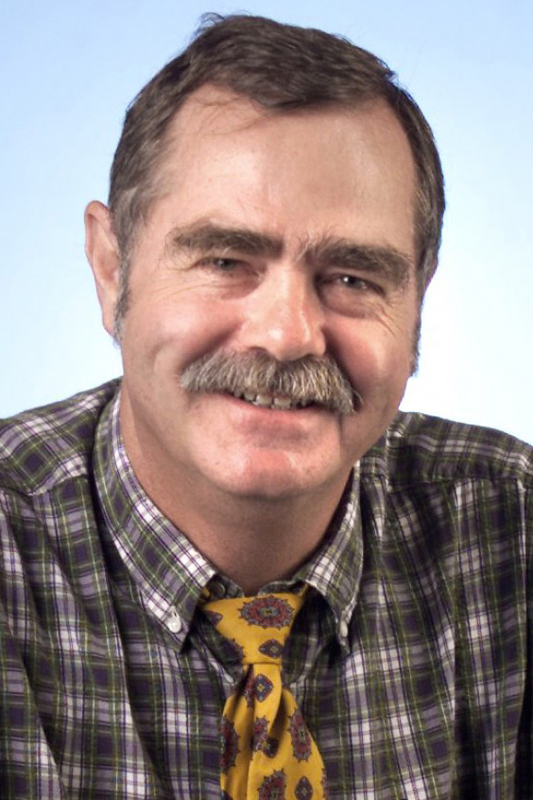 Stevens is an award-winning journalist with more than 30 years’ experience in the St. Louis area. A reporter/ producer with HEC-TV since 2013, Sharon previously worked as the Education Reporter for KSDK-TV and KTVI-TV. She is currently an adjunct professor at Lindenwood University's School of Mass Communications, St. Charles campus. Her television career began at WGBH-TV in Boston, MA. A native Chicagoan and graduate of Northern Illinois University, Stevens is a lifelong journalist. She began as a writer for her elementary school newspaper and later wrote for her high school, neighborhood and college publications. She also worked as a reporter at WBBM-AM in Chicago, IL and NBC Network Radio in New York, NY. Stevens has been nominated for two Emmy awards, and in 2010, received the Silver Circle Award from the National Academy of Television Arts and Sciences (NATAS). She has been honored by the Associated Press, the National Association of Black Journalists (NABJ), where she also served as Vice-President/Broadcast, the Greater St. Louis Association of Black Journalists, the Missouri Association of School Administrators, Alpha Kappa Alpha Sorority Inc., and the Gateway Classic Foundation. She was also elected to the St. Louis Media Hall of Fame in 2011. For almost 20 years, Stevens has tutored and mentored hundreds of students, both in St. Louis and at North Carolina A&T State University in Greensboro, North Carolina. KMOX Radio (AM 1120) is dedicated to being the dominant information and entertainment source for the St. Louis region. Whether it’s on-air, on-line or on-demand, “The Voice of St. Louis” continues to evolve to meet that changing needs of consumers throughout the region. KMOX employs St. Louis’ largest radio newsroom featuring nationally respected journalists who provide local news seven days a week at the top of every hour and breaking news at once. KMOX news was awarded two Edward R Murrow awards in 2016 for best newscast and investigating reporting. The station also won four first place Missouri Broadcaster Awards this year, more than any other radio station in St. Louis. KMOX is the home for all professional sports teams in St. Louis as the flagship station for both Cardinals baseball and Blues hockey. KMOX’s digital platforms provide users with updated news, custom video, original content, podcasts and daily commentary. KMOX has more than 79,000 Twitter followers and 465,000 average monthly visitors to KMOX.com. KMOX.COM was recently awarded Best Locally Produced website by the Missouri Broadcasters Association. Dorsey is CEO and chairman of Square, CEO and chairman of Twitter and is a co-founder of both. He also serves on the board of The Walt Disney Company. Dorsey, who grew up in St. Louis and attended Bishop DuBourg High School, became avidly interested in computers at an early age. As a young intern at Mira Corporation, he first met and worked with Jim McKelvey. He attended Missouri University of Science and Technology before transferring to New York University and then moving to the West Coast. Dorsey went on to develop the idea of a new social networking site, Twitter, that has transformed communication around the world. Dorsey, with Evan Williams, Noah Glass and Biz Stone, created Twitter in March of 2006 and launched it to astounding success. After holding many top positions at the company, he remains CEO and chairman of San-Francisco -based Twitter. In 2008, Dorsey and McKelvey reunited to develop Square, a small business platform to accept debit and credit card payments on a mobile device. It was released in May 2010 and has millions of users. Square Inc. also offers financial and marketing services. McKelvey is co-founder of the pioneering and highly successful Square. He also conceived of and co-founded LaunchCode, a nonprofit that partners with hundreds of companies to train programmers in technology who lack traditional credentials. McKelvey grew up in St. Louis, attended Ladue schools and retains strong ties to his hometown with his family, even as his many projects take him around the world. He graduated in 1988 from Washington University with dual degrees in economics and computer science. His father was dean of engineering at the University, McKelvey started work at IBM shortly after graduating and left to co-found Mira Corporation, a management software company. He later pivoted Mira into conference publishing. He first worked with Jack Dorsey at Mira, bringing him in as a high school student. In 2008, McKelvey and Dorsey started their mobile payment company and created Square, the iconic card reader, changing the way millions of merchants do business. McKelvey's design has been inducted into the Museum of Modern Art. LaunchCode was started in St. Louis in 2013 and has expanded into other cities. A long-time glass blower, McKelvey also co-founded with Doug Auer Third Degree Glass Factory, a public-access glass art education center in St. Louis. McKelvey, who also has a home in Miami, remains active in all his companies. Carol A. Daniel is first and foremost a mother and wife. She and her husband Patrick are celebrating 22 years of marriage. And they are the proud and exhausted parents of two sons. Carol began her career at the “Voice of St. Louis” in 1995 as an anchor, reporter and talk show host. She was hired when the program director was driving to Memphis with his family, heard Carol on the air at a radio station in Cape Girardeau, MO. Two weeks later, she moved to St. Louis and was working at KMOX. Carol has also been recognized for her work on the air and in the community by the Missouri Broadcasters Association, St. Louis Association of Black Journalists, the Monsanto YWCA. She is also a proud member of the YWCA Women’s Leader Class of 2005. Carol is a member of New Life in Christ Interdenominational Church in O’Fallon, Illinois where she along with her husband, spearheaded the couple’s ministry, “Journey to Oneness” or “J2-oh” for nearly a decade. They have two sons, 20 year old Patrick Daniel Jr., a Junior in college majoring in computer science and 16 year old Marcus Isiah Daniel who plans to become an attorney, a chef and an actor. - Inclusion in all media releases/announcements and printed materials for Media Person of the Year, including invitations, programs, on-site signage, logo video and emcee mentions at Gala. - Inclusion in all media releases/announcements and printed materials for Media Person of the Year, Gala, including invitations, programs, on-site signage, logo video and emcee mentions at Gala. - Inclusion in all printed materials for Media Person of the Year Gala, including invitations, programs, on- site signage, logo video and mentions by emcee at Gala. For 60 years, the Press Club of Metropolitan St. Louis has been a professional, social and charitable organization of people who make, cover and influence the news. For information or membership, call 314.449.8029 or click here.